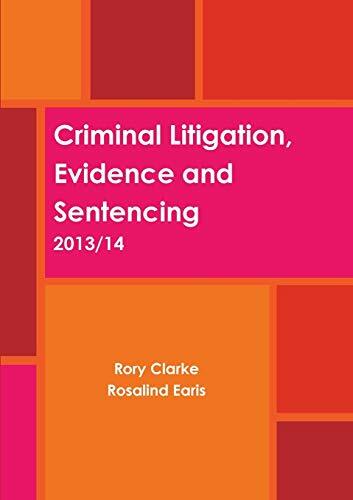 This book serves as a course companion and revision guide to the BPTC Criminal Litigation, Evidence and Sentencing course and examination. It sets out the course material in a simple, stripped-down form suitable for a first overview and for revision. Students can both consult this guide when first introduced to a topic, to provide a quick and comprehensible overview, and can rely on it during revision.